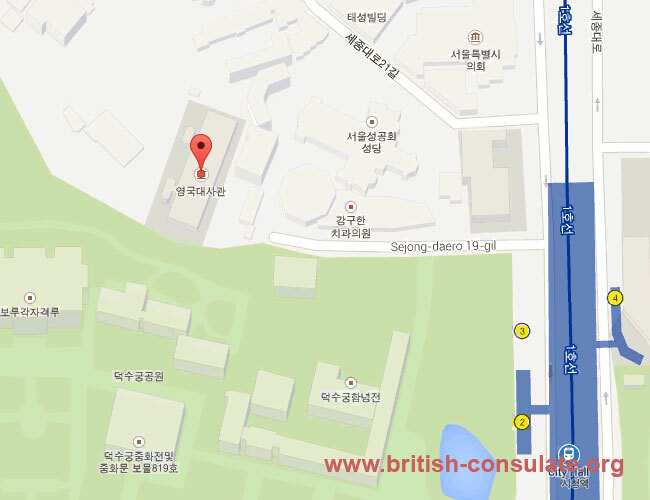 Seoul is where you will find the British Embassy in South Korea. We have listed the contact details for the embassy below including telephone numbers, email address, street address and also a map to the British Embassy in Korea. If you wish to visit the UK then you can apply for a business visa or a visitors visa for the UK. If you are married or engaged to a British national then you can apply for a spouse visa, fiancee visa or a partner visa. You can also register a birth at the embassy and renew your passport while in South Korea. Note the visa timeline below.